Some quiet thoughts : Reflections: Retired or Re-tyred? Last evening during a lively discussion at our Life Group, we spoke about something that got my attention. It was this : every now and then at regular intervals there are several professions that require its people to undergo what they call “re certification”. This simply means they have to go through a set of tests, checks, exams on certain elements in their profession to ensure that they have not lost touch with some important skills. This process may even include an upgrading of their knowledge base to keep in touch with the changing times. This got me thinking. What about our Christian life? Praise God that our salvation is secure from the word go. We are saved by grace and grace alone. But we are saved for good works that God has prepared in advance for us to do. ( Eph2:9-10). Often one comes across these words spoken by Christians who have been around a long time:” When I was …. I used to do …… I used to go and help at….. I used to serve at……”. I think we all recognize it and have sometimes said it ourselves. As older Christians ( and I qualify in these ranks !) we can have a "retired" mentality. 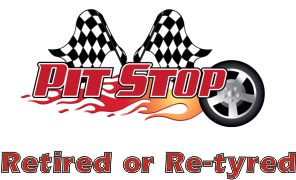 We as Christians do not to retire but probably need to get "re-tyred" - maybe we have got worn out along the edges, lost our grip on the vision that God gave us, got a little deflated due to bumps in the road. Its time for a pit stop and get systems overall-ed so we can be up and going with a new burst of energy . I began to reflect on scripture that urges us to spur one another on toward love and good deeds. The Lord knows, how with time we have a tendency to slacken off or rest on our “I used tos”. We have heard the adage “well begun is only half done”. I remind myself of Paul who till the end labored hard to reach his goal, to finish the race and to fight the good fight of faith – what a champion! As I reflected I did a mental check list – and maybe you would like to do it with me. I asked myself several questions and you could add to this if you like as the Holy Spirit nudges you . How am I doing on the greatest commandment of all i.e Loving God . How is this reflected in my personal devotions, meditation of scripture, prayer and worship of Him? How am I doing in loving my brothers and sisters? Do I have any outstanding debt of love toward anyone? How am I doing on serving my church community and in my neighbourhood? How am I doing as a wife and mother? How am I doing as a friend ? How am I using my gifts to glorify God? I know the list can go on.. but I thought to myself that this was a good place to start. This exercise is not designed to put a heavy yoke on our backs – we are to be motivated by grace – knowing how much God loves us and that He has great plans for us and wants us to go get it. He is for you and me 100%. His grace is indeed sufficient. However while the Bible encourages me to stir and fan into flame the God given gifts in me, I am also urged and encouraged to spur my brothers and sisters on toward love and good deeds.(Heb10:24). As I reflect and check myself into that pit stop , can I spur you on as well? We have a great big destiny in God – much bigger than you can imagine and we have everything we need for life and godliness in Christ Jesus. Be blessed – keep running, keep fighting, keep loving. Thank you Sanita. Hope you are encouraged as you read through the blog.